We are five decades away from the original release in Spain of one of the coolest, funniest and more entertaining entries in the classic “Kaiju Eiga” movie genre. And even though time is rarely benevolent in its unstoppable advance, in this case we can state that it has been more than magnanimous. 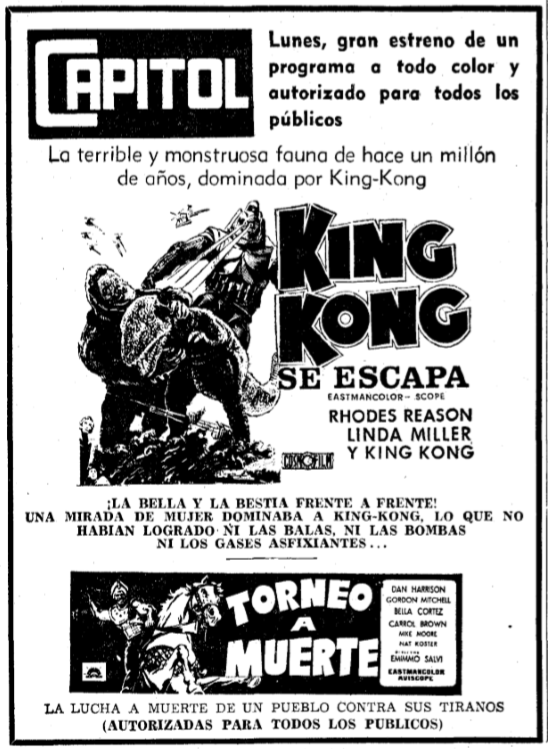 Although it is dominated by the crushing fame of its monstrous protagonist, “King Kong escapes” rises its greatness thanks to the charisma of the acting trio that shows a candor and confidence on screen that transcend the celluloid and pushes us to follow their adventures. 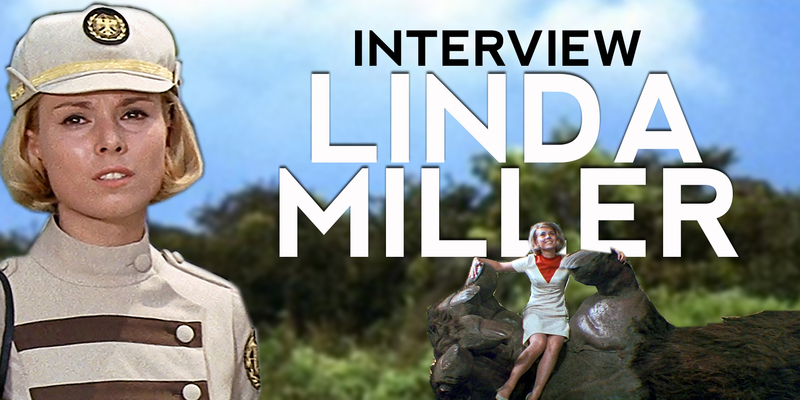 This september will mark 50 years of the film’s arrival in Spain, and one of the pillars of the aforementioned triangle of performers, the eternally beautiful Linda Miller, shares with us her memories and experiences in an exclusive interview with “Godzilla en Castellano”. The beast bows its head and salutes the beauty once more. 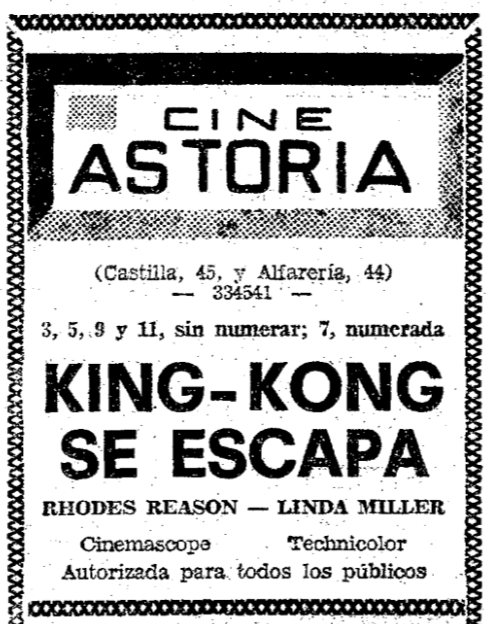 1.- How did you get into to the “King Kong Escapes” production? My father was in the Air Force and we moved to Japan in June 1965 and almost immediately I got involved in modeling, I did a lot of print ads and TV commercials. 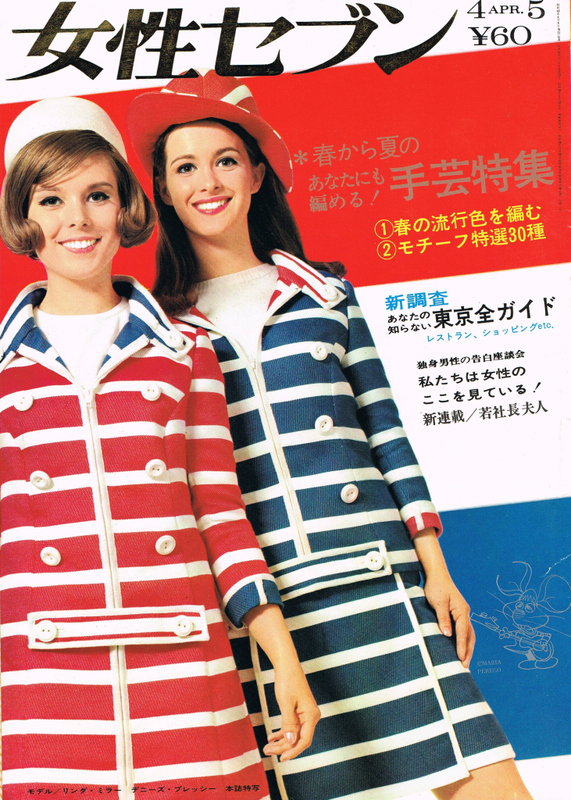 In 1967 I had a contract with a young girls magazine, Josei Seven, to appear on their cover every week. Arthur Rankin was visiting Japan and saw one of my covers and (according to him) said, “that’s my Susan”. He tracked me down and called me. We met and even though I had zero acting experience he decided to put me in the movie. 2.- At the time of the production, did you speak Japanese, right? How was your relationship with the Toho team in this sense? Yes, I did speak Japanese and because of that, we all got along very well. Of course I couldn’t speak well enough to discuss politics or religion, but I spoke the day-to-day conversation rather well. Takarada-san and I had talks between takes in Japanese and also with my hair dresser and make-up man and the crew. However, with Honda-san he directed me through an interpreter by the name of Henry Okawa. I could understand what Honda-san was saying most of the time, but since Rhodes Reason spoke no Japanese, it was a good move to have Henry there for both of us. 3.- Did you ever met Eiji Tsuburaya? Did you visit the filming set of the Special Effects scenes? I don’t believe I ever met him, or if I did I did not grasp who I was meeting. I did have an opportunity to go to the sound stage where they were doing the special effects. It was pretty amazing. I saw the scene where they drop the bombs on Kong and put him to sleep and then carry him by helicopter to Dr. Who’s ship. All the miniatures were so life like it was very impressive. 4.- Usually the kaiju eiga actors and actresses find some difficulties when they shoot the scenes because the “monster” is not with them. How was your experience in this sense? In fact, there are a lot of scenes where you create a dialog with Kong. Was it easy to find a method to do this? Did you had a physical point where to aim your eyes, and then act? I didn’t really find it difficult to do those scenes but it was a little challenging. Rhodes Reason was a big help to me throughout the whole filming of the movie. He helped me to imagine in my mind what was happening and how to react to it, even though I could not really see it. Honda-san would show me where he wanted me to look so that it would match up with the special effects later. Because I had no idea what was going to be going on with the special effects, Honda-san would tell me what the scene was all about, what kind of reaction he was looking for, where Kong was going to be, and then we would take it from there. 5.- The three main characters had great chemistry on screen, making the trio of characters something quite special. Was the same in real life? Isn’t that just amazing. And it was just dumb luck that the 3 of us were a perfect fit. Rhodes and Takarada were such a complement to one another. Both of them are tall and big and quite manly, and this came across on the screen. They really blended well. And I was just lucky. Off camera we had a few times when we got together for dinner with some of the crew members. They both treated me as their little sister. 6.- We find very interesting Eisei Amamoto’s performance. He’s brilliant in his role! What are your memories about him? 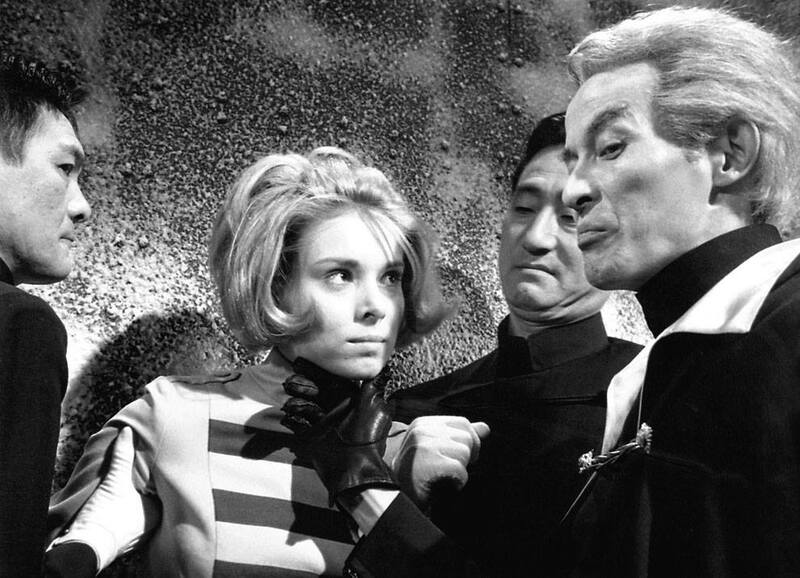 He was, indeed, brilliant as Dr. Who and I think he was the best character in the whole movie. So believable. On the set he walked around with his cape and remained somewhat in character as Dr. Who, but he was always very kind to me and my mother. My mother was on the set the entire time I was filming. As time went by we became friends and after filming we went to see him in the play Fantastics he was doing in Tokyo. Met him back stage and went out to dinner together. Very odd man in some ways, and very unique personality, but one of the sweetest guys I knew. 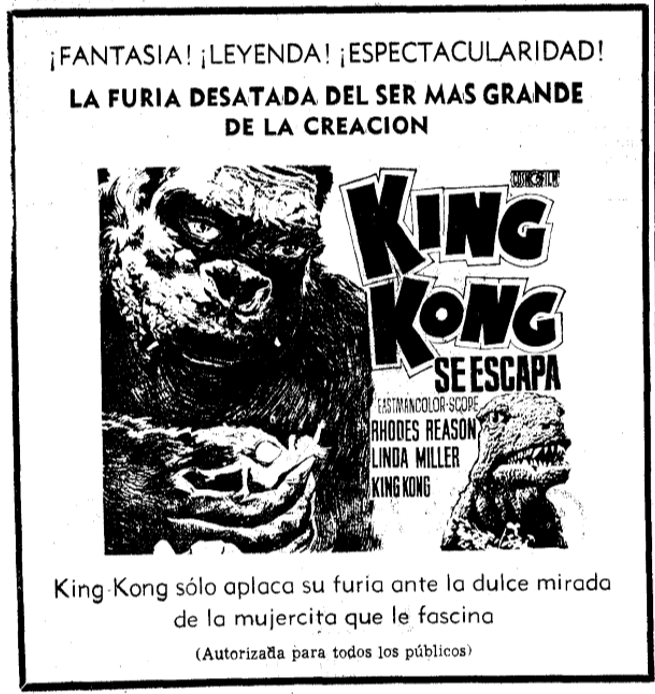 7.- “King Kong Escapes” captures the magic of the original King Kong in many ways. Do you remember if Ishiro Honda or Eiji Tsuburaya mentioned something about the original movie of 1933? No, and it’s not unusual that he did not. He and Tsuburaya were kind of in the same league, and then there were the actors. Honda-san was not very talkative. He was more quiet but you could see him thinking about things. I think KKE showcased Kong more lovingly towards me and Fay Wray than some of the later versions. I like to think I was Kong’s favorite girlfriend. LOL! 8.- We know very well that director Ishiro Honda was a humble man, however, would you be able to tell us your experience under Honda’s instructions? Any memorable anecdote during the shooting? As I said, he was quiet and I agree humble is a good word to describe him. But you knew that he was very professional and skillful in his craft. He did not talk to me very much in the beginning even though I understood Japanese well. He gave all of his directions to Rhodes and me through a translator, Henry Okawa. But as time went by, he still didn’t talk much, but he smiled at me more. He was quietly friendly and respectful of both the cast and crew. Likewise I was extremely respectful of him and tried to do everything he asked me to. I wanted to please him. When we went on location to Oshima Island we all ate in the hotel together – typical Japanese style. A room with a big table in the center and everyone sitting around the table. Sitting on the floor and not in chairs. That was the first time I remember him relaxing and smiling at me and the other cast and crew. 9.- Did you like the final result of the movie? Well, I liked the Japanese version better. The reason is because the English version dubbed my voice with the most awful, childish sounding voice ever. I was not happy or pleased about that. I can’t imagine my voice could’ve been that horrible. Arthur Rankin told me that they were going to dub the entire movie into English, but didn’t mention that I would not be part of that. I was not a member of Screen Actors Guild because I lived in Japan, and I can only surmise it was cheaper for them instead of flying me back to LA and putting me up in a hotel, etc. But I don’t know for sure why he did that. That’s the only real regret I have about the movie. When I first saw it when it came out I was appalled at my acting (I had never ever acted before in my entire life). But now that I’m older I’m not so critical and can enjoy watching it and laugh at the parts that I think is bad acting. Overall, I think it is a sweet story and an entertaining movie. Not an Academy Award winner, but lots of fun. I am extremely grateful to have been a part of this movie. Now when I do conventions I am amazed at how much the fans love the movie. Brings me a lot of joy. I use to speak some Spanish. I studied it in high school, and then I had a dream of going to the University of Madrid to study so I could be an interpreter at the UN. When I was ready to graduate from high school, my father was in the Air Force and it was time for him to be stationed overseas, so he put in for Spain. And they gave him Japan! So originally I was disappointed but not for long. When I left Japan I moved to LA to pursue acting. There are a lot of Latins in LA so I heard Spanish all the time and for awhile had a Mexican boyfriend. I have an aptitude for languages and know if I lived in a Spanish speaking country I’d be able to speak it very well within 6 months or so. At least that’s what I think! 11.- Akira Ifukube did a great score, as usual. But he also did a fantastic and sad piece called “Kong & Susan”. A very delicate theme at piano that describes the love of the ape for the girl. What are your thoughts about it? Did you ever met Ifukube? I don’t remember meeting him, but it’s possible I may have. I was pretty young and even though I worked as a model most of my time in Japan, I didn’t know much about Japanese movies, composers, actors, etc. As far as the song, I don’t think I have heard it. But I was very impressed with his score for the film. I thought it was first class and really was an asset to the film. 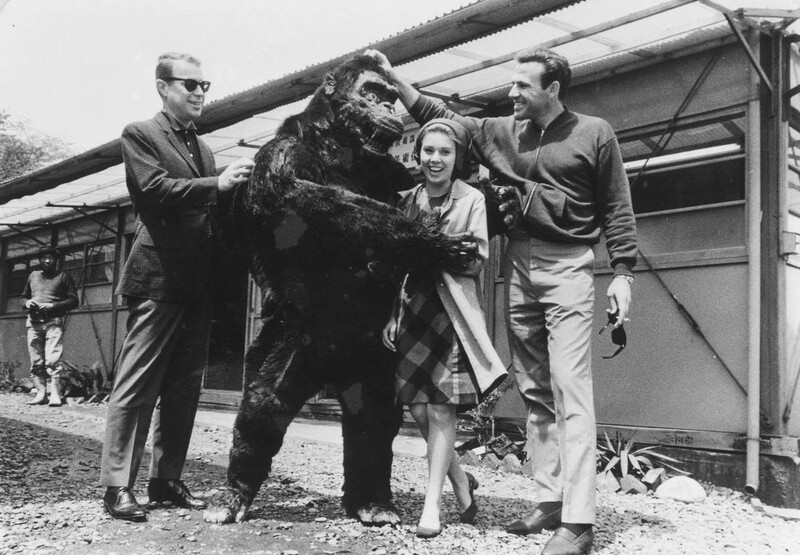 12.- There are some publicity stills with you and the gorilla, was that shooting session directed by Honda? How was it like working with King Kong on that photo shooting? 13.- Did you work in other special effect movies? 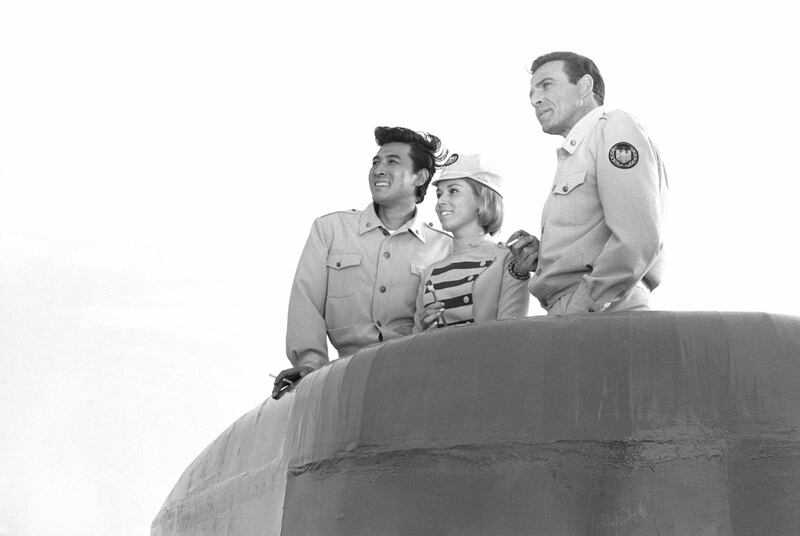 Yes, I was also in “The Green Slime”. Just a very small part. The story behind it is that after “KKE” wrapped, I had some free time on my hands and I wasn’t use to that because I worked all the time as a model. So my girlfriend invited me to go to Toei Studios which was close to where I lived because her friend was shooting the Green Slime. When we got there the director asked if we would also be in the movie. I thought it would be fun so I said Yes. I think you can see me in one of the dance scenes, and another where I have my head wrapped up when I’m in the infirmiry. I just did it for fun.